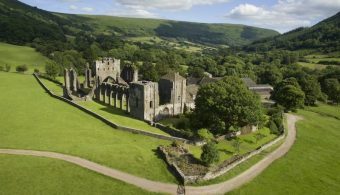 Llangollen, in north-east Wales, is everything you’d want from a quaint Welsh town. It’s so idyllically pretty it’s like Llangollen has stepped right out of the pages of a child’s bedtime story. 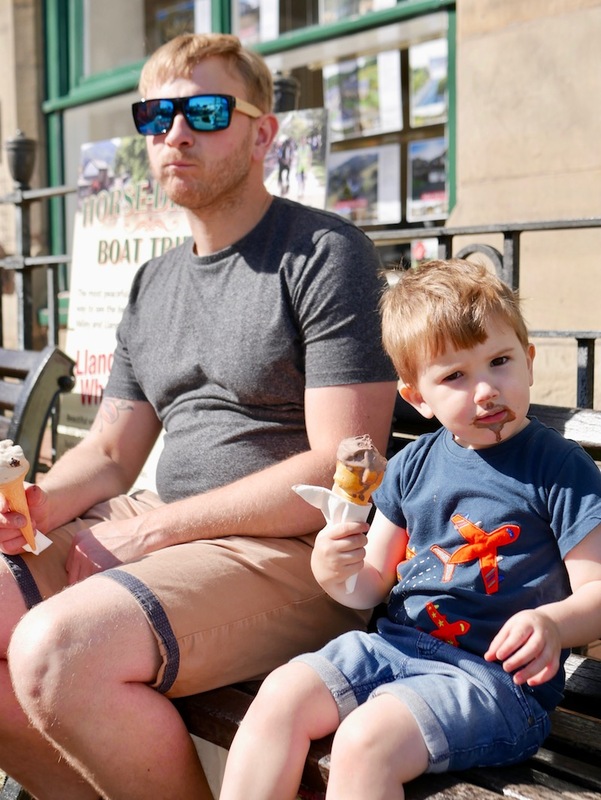 With steam trains chugging billows of smoke across the rushing river and horse-drawn canal boats gently plodding alongside the water’s edge, Llangollen is the kind of town both children and adults (and everyone in between!) will fall in love with. The majority of the action in Llangollen is centred around the river and a couple of main streets through the town. 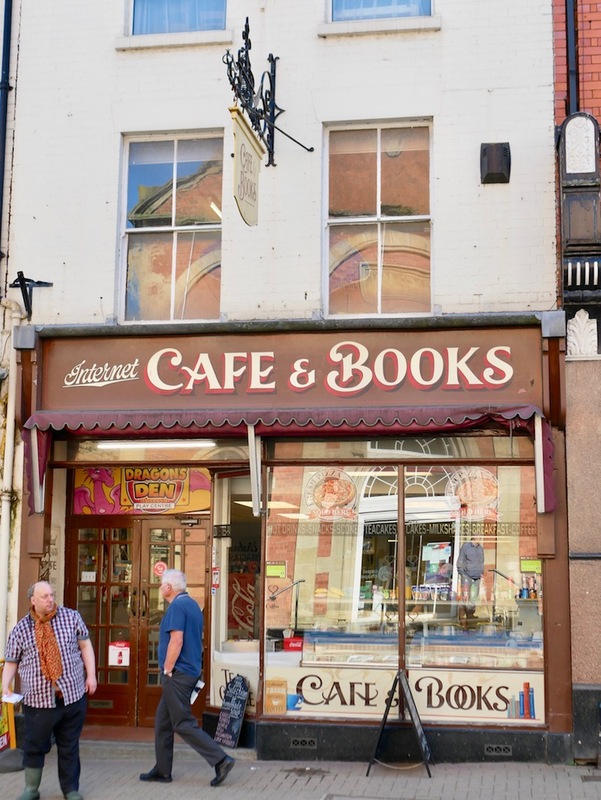 There are pubs, cafes, restaurants, bakeries, boutiques, charity shops and little stores selling locally made crafts. 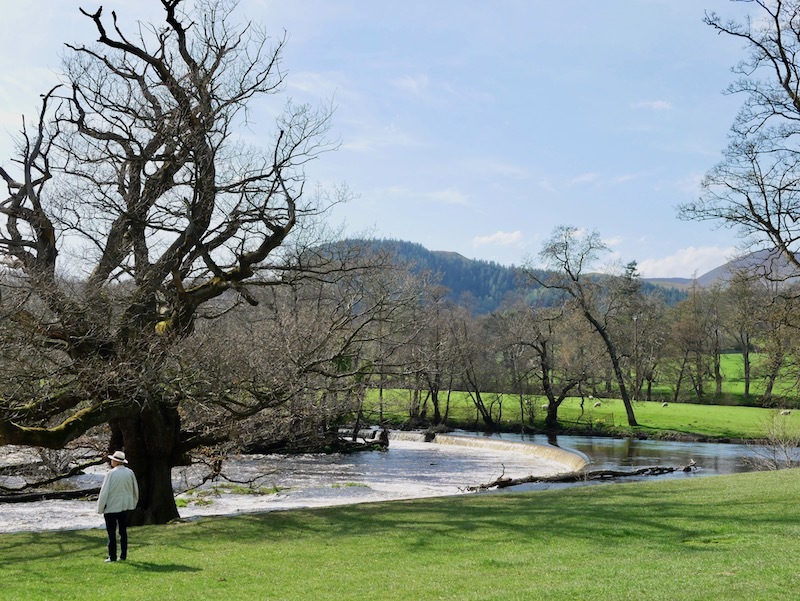 Llangollen is the kind of place you could visit for a weekend and spend your time strolling, browsing, eating, drinking and admiring the gorgeous scenery at a leisurely pace. But if you like things at a faster pace then there are plenty of adrenaline fuelled activities in the area too so I’ve got more on that at the end of the post. 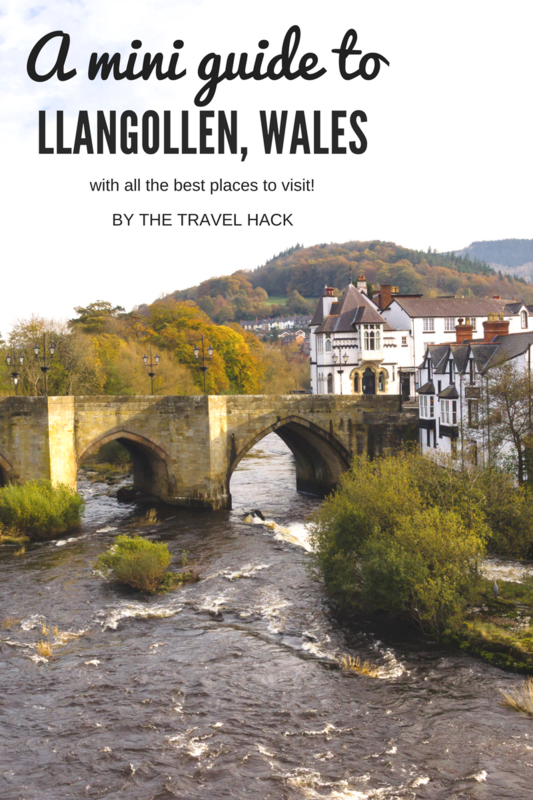 But let’s start at a very important point: how to you pronounce Llangollen? ‘Llangollen’ is a tricky one for us English speakers. In the Welsh language that double ‘L’ isn’t an L sound at all, it’s more of a ‘cl’ sound. So Llangollen is pronounced a bit more like ‘Clangoclen’. That’s not entirely perfect but it’s the best I can write. Llangollen feels really remote but it’s actually really easy to get to. 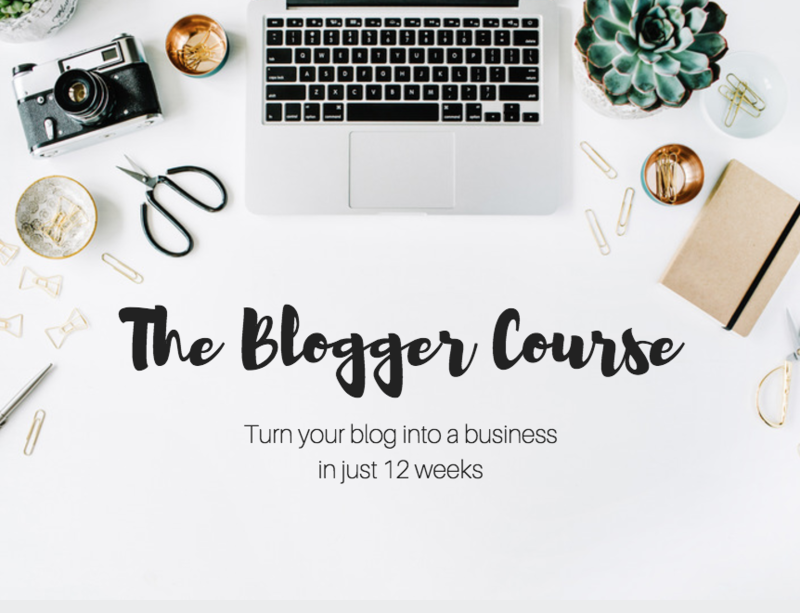 It’s a 60 minute drive from Liverpool, 80 minutes from Manchester, an 90 minutes from Birmingham or 3 hours from Cardiff. If you’re travelling to Llangollen by public transport then I’d get the train to Wrexham and then get the bus from Wrexham which takes about 30 minutes. Please note that if you’re staying at the glamping place I recommend and doing many of the activities I suggest then you really need a car. 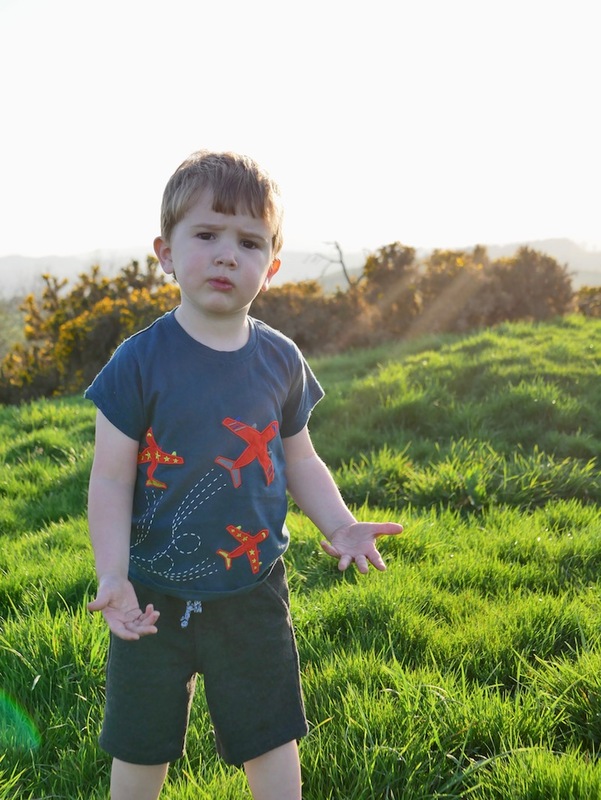 I’m lucky enough to live less than 30 minutes from Llangollen so I visit regularly for a day out with the kids and I occasionally stay over for an easy staycation. 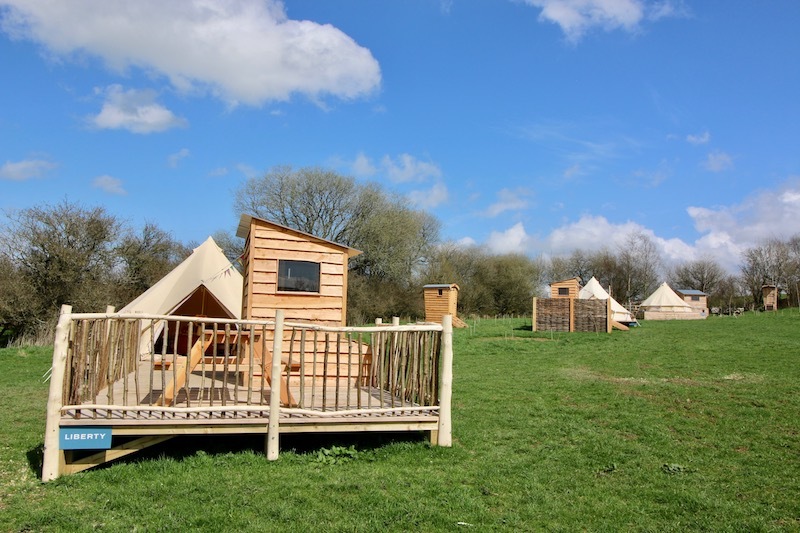 Last time I stayed at Niagra Lodge but this time I had a fun glamping experience at The Forge Corwen. 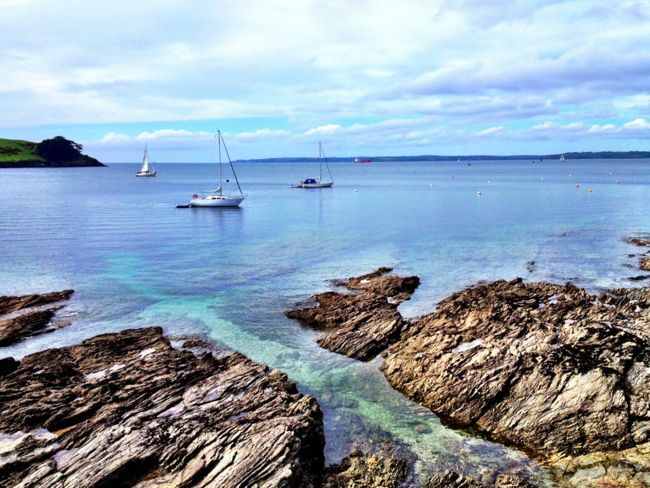 I stayed for two nights and revisited some favourite spots but also found some new places to visit too. 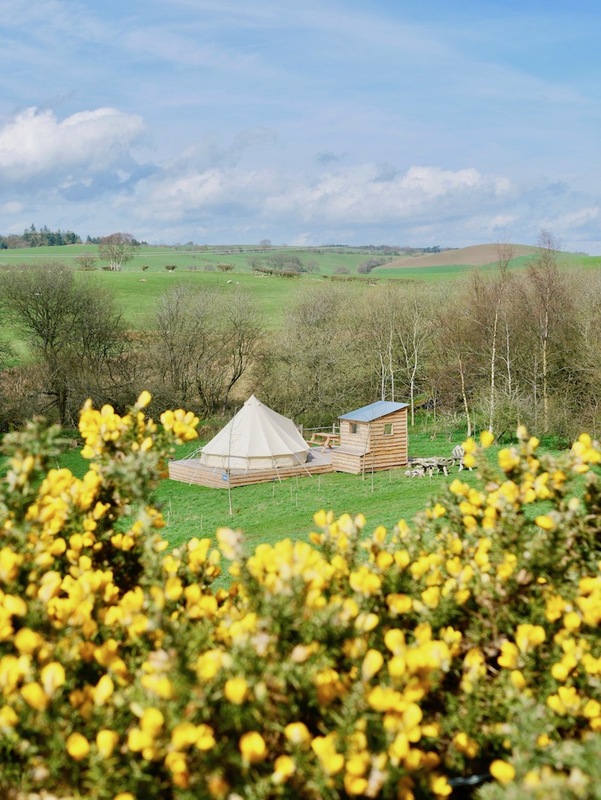 The Forge Corwen currently have three gorgeous bell tents. 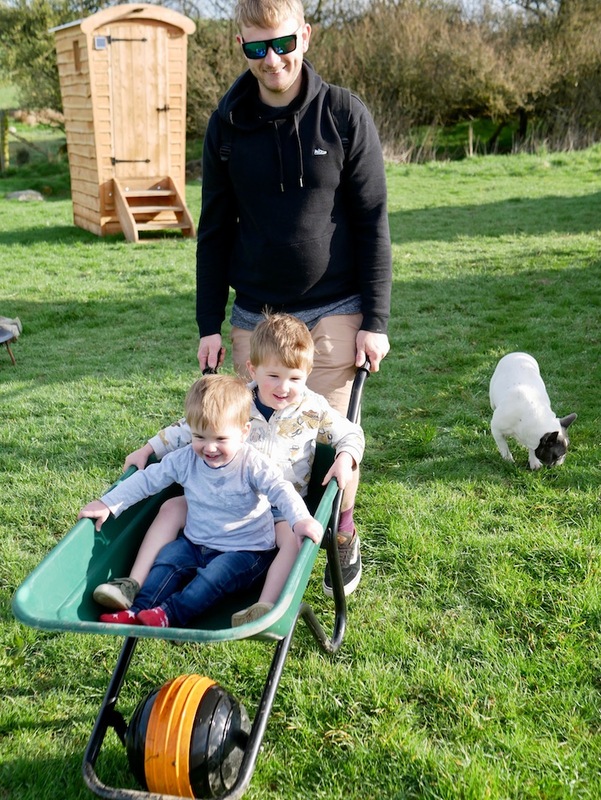 Jamie and Sheena, the owners, moved to Corwen from the south, wanting to escape the rat race and live a slower pace of life with their children. They sold their house and were able to buy 20 acres of land and a beautiful home in Corwen! They’re living so many people’s dream right now and they’re such an inspiration to all those people who want to escape the 9-5. 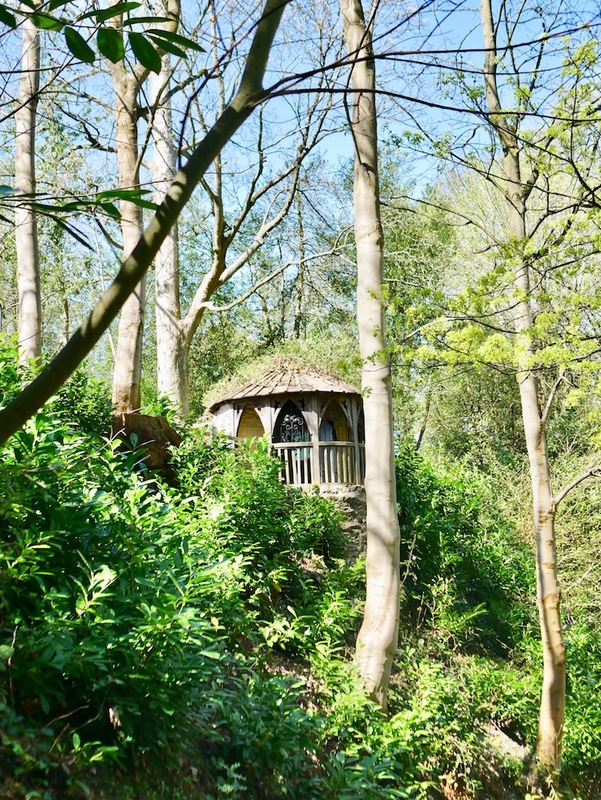 They also run a bushcraft and survival skills course which looks so much fun but my boys are a little young for this so we need to come back in a few years! 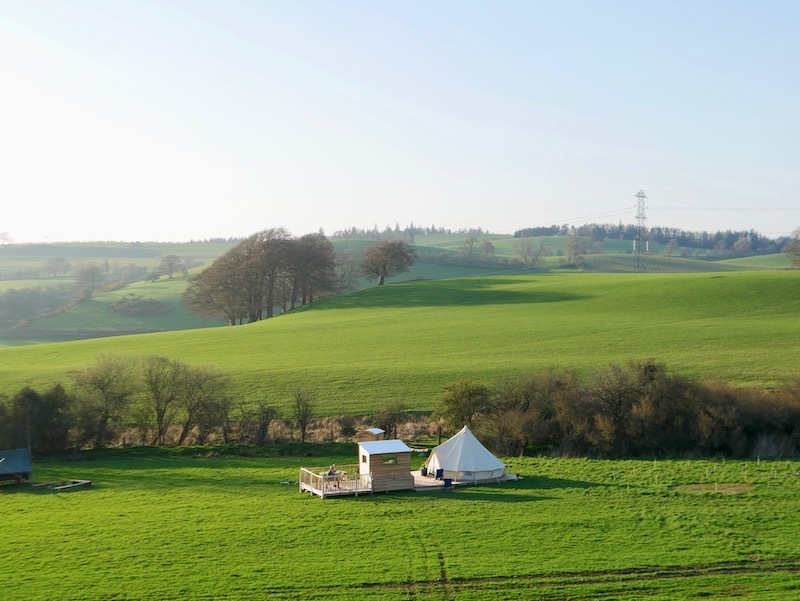 I love glamping because you get all the joys of camping. Joys like disconnecting from the world, getting back to nature and enjoying life at a slower pace. But you still have a warm and cosy place to sleep, hot showers, somewhere easy to cook and plenty of space for all your stuff. 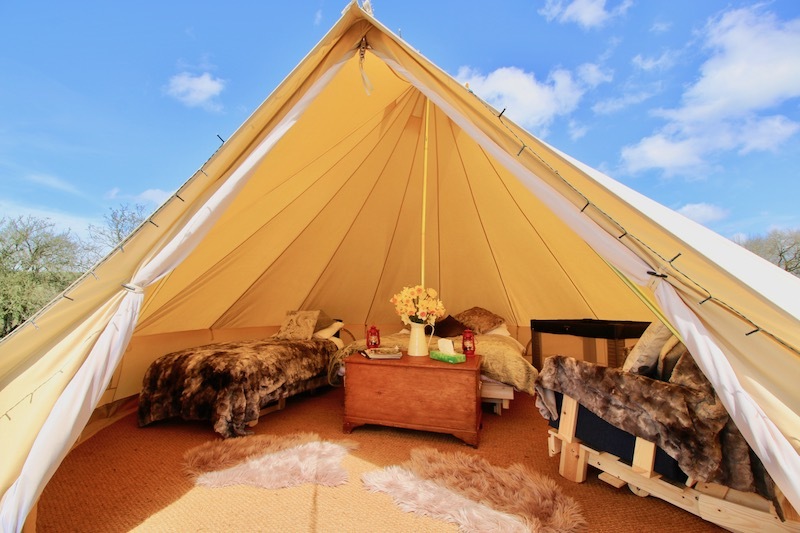 Glamping is usually pretty affordable too. I paid £171.40 for two nights for 2 adults, 2 children and a dog. 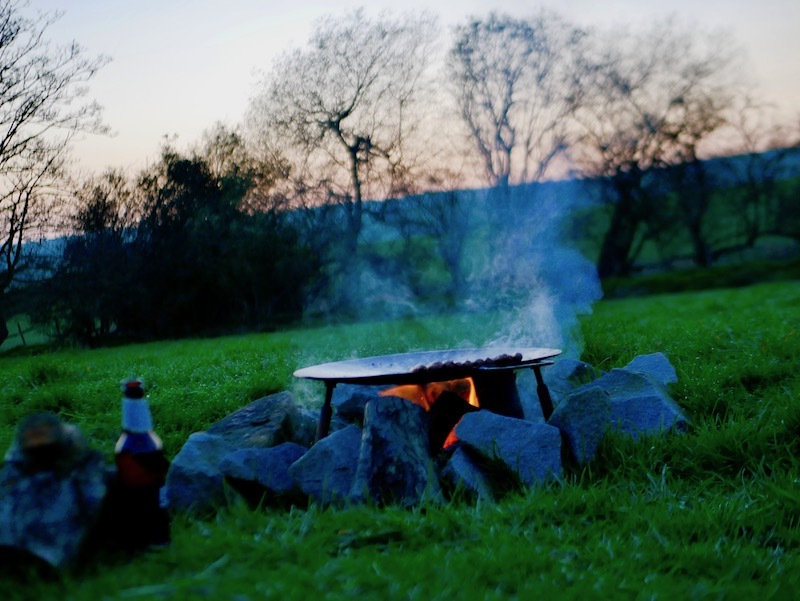 The tents at The Forge Corwen are lovely, cosy, comfortable and well equipped. Our tent had a double bed and two single beds but they folded one of the beds into a chair to make space for a baby cot. The tents have a large decking area with a basic kitchen and seating area. 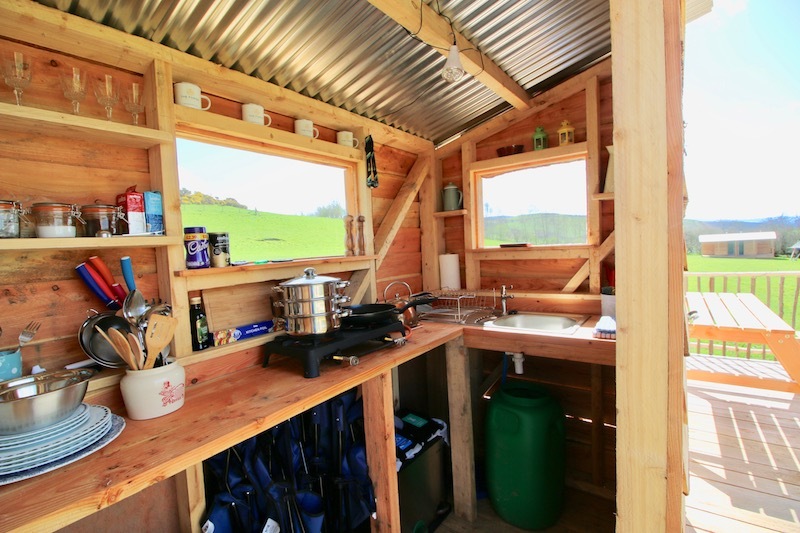 Each tent also has a private composting toilet and a fire pit and there’s a shared shower block. 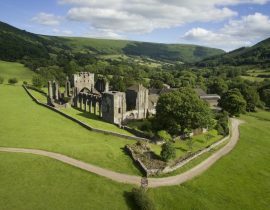 The Forge is located about 20 minutes from Llangollen and it’s a beautiful drive into town through the rolling countryside. 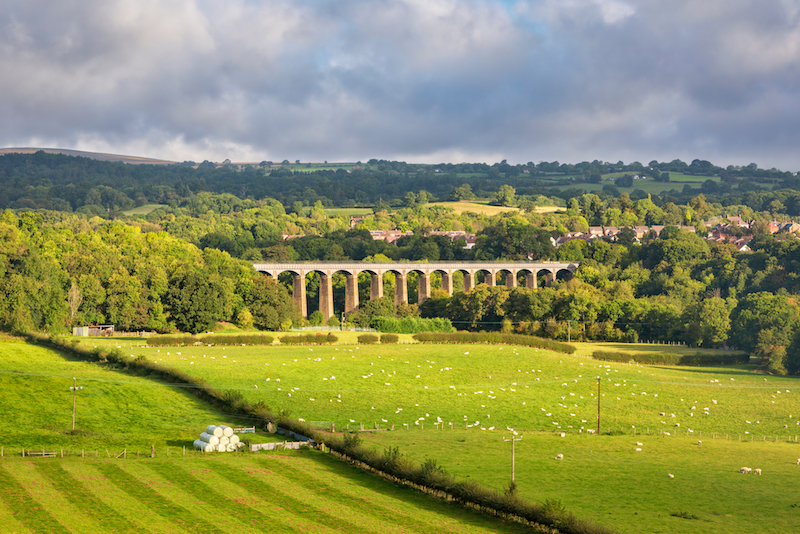 You can get to Llangollen via the Horseshoe Pass, an incredible winding road that will make you feel more like you’re in New Zealand than the UK! 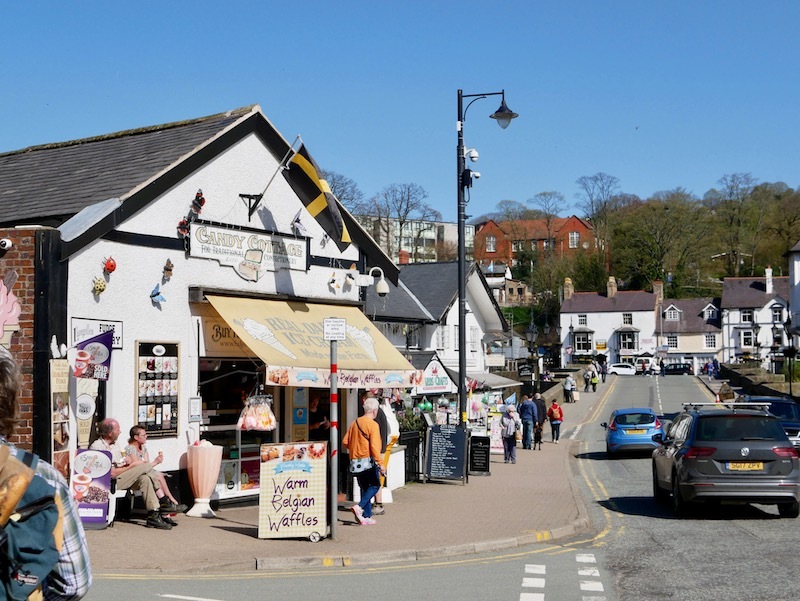 Your first stop needs to be a trip into the beautifully quaint town centre to have a wander around, explore the shops, stop for tea and Welsh Cakes and admire the lovely views. The Corn Mill is a great pub on the edge of the river. It’s cosy but stylish and has a great menu (it’s a Brunning and Price pub). When the sun is out, this is THE place to be so you’ll need to arrive early for a spot outside on the decking. Grab an ice cream from Candy Cottage which is just by the bridge and has the best ice creams and sweet treats. Take the footpath that runs next to the Cornmill for a nice shady walk which leads to a park if you’re with kids. If it’s a hot day you can climb down to the rocks and splash in the river. You’ll find lots of people swimming and jumping off the bridge too. Have a rummage in Harley’s Vintage Boutique and check out the crafts from local artists at The Market on the Fringe. Take a look at the trains while you’re in Llangollen. They regularly have steam trains arriving into the town. If you’ve got little ones with you then make sure you check out when Thomas the Tank Engine is in town! 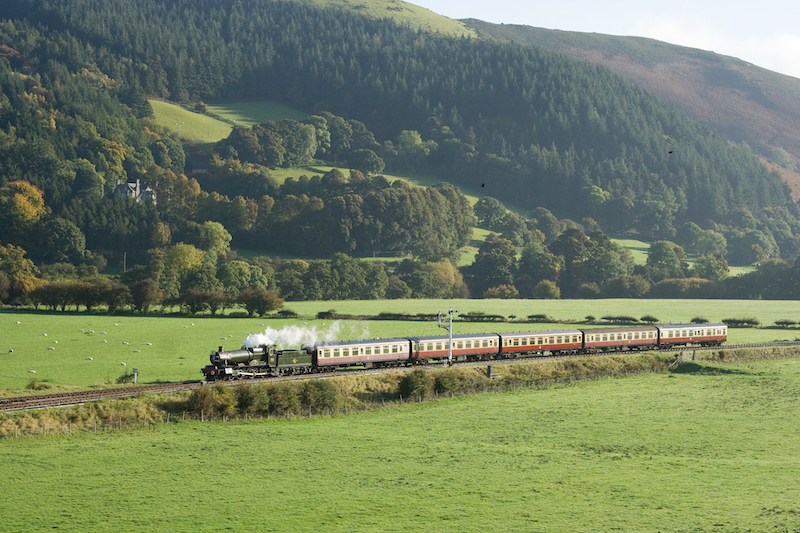 There are lots of activities around the trains such as wine evenings or special dinners on a steam train. 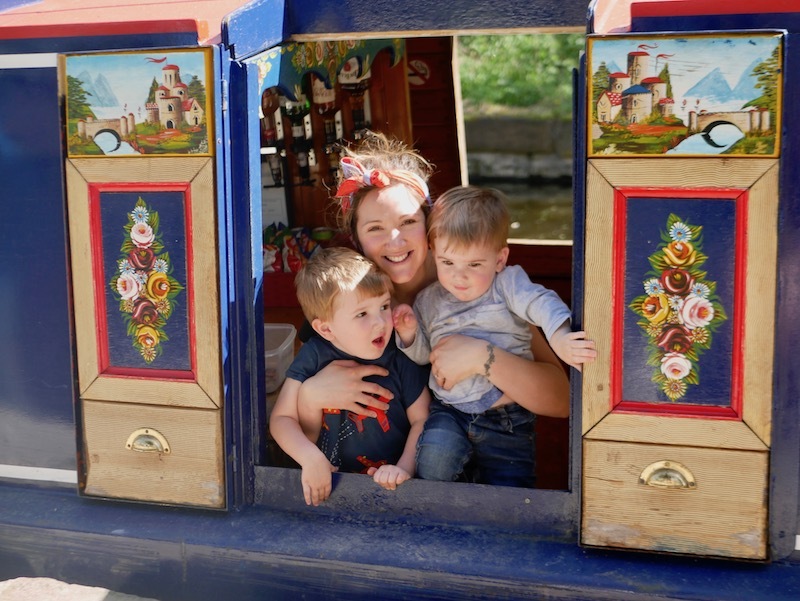 You can’t visit Llangollen without taking a walk along the canal – or a horse drawn canal boat which is great if you’ve got kids with you or aren’t up to a long walk. If you turn right when you reach the canal you can walk to The Sun Inn pub which is a nice, friendly spot for lunch or a drink in the gardens. The Horseshoe Falls are a lovely spot and you’ll often see kayakers paddling in the falls. There’s a big grassy area around the falls so it’s a nice place for a picnic and somewhere for kids to run around. You can walk here from the town but if you don’t fancy the walk from Llangollen centre then you can also drive there and park at the top and it’s just a short walk down the hill. You can visit the remains of Castell Dinas Bran, a medieval castle built in the 1260s. It’s an incredible site and kids love exploring the ruins. It’s a steep 1.5 mile walk up to the castle so you need to be fairly mobile for the walk. If you’ve got little babies or toddlers with you, then I recommend bringing a baby carrier with you. I like the Pao Papoose from We Made Me for babies and the Izmi Toddler Carrier (which I’m wearing in this pic) for bigger babies and toddlers. 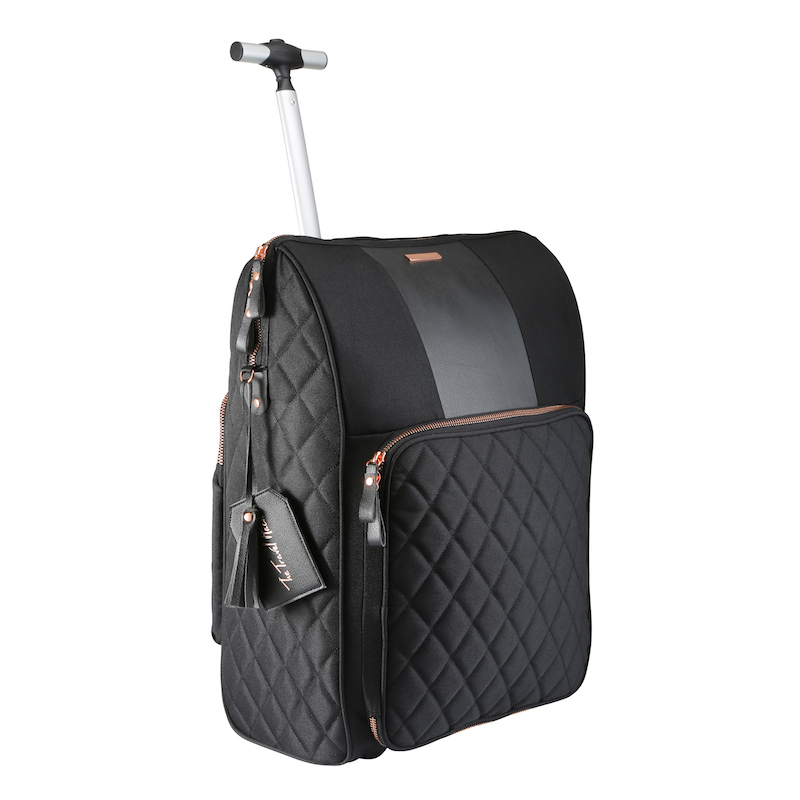 We also have the LittleLife All Terrain Carrier, a more structured carrier good for long walks but it takes up a lot of space in the car. During this trip to Llangollen we visited Plas Newydd Hall (thanks for the recommendation from Discover Denbighshire!) 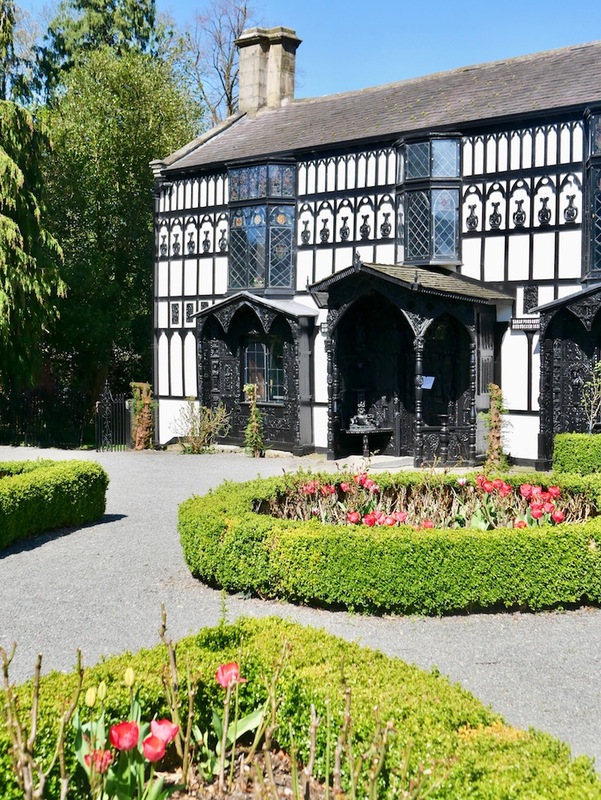 It’s a beautiful historic house with gorgeous gardens and a lovely café serving great cakes. 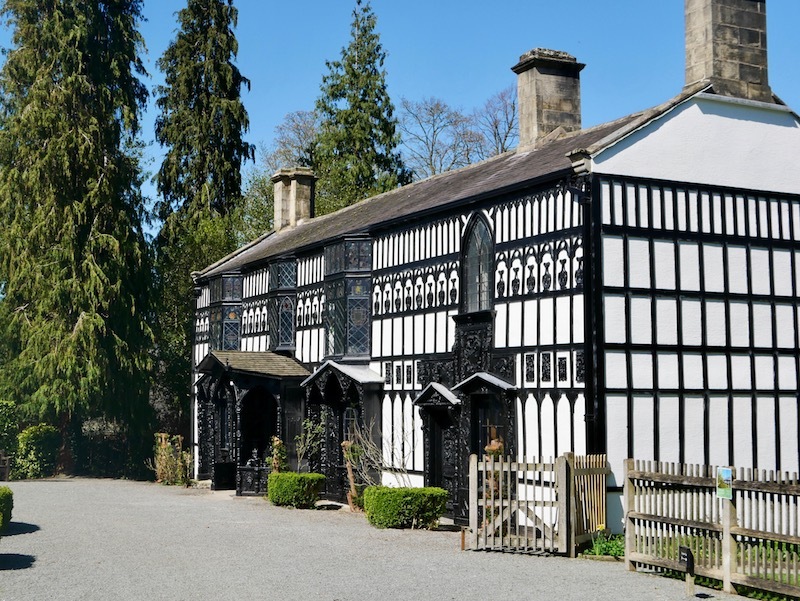 It was originally the home of the ‘Ladies of Llangollen’, Lady Eleanor Butler and Sarah Ponsonby, who were two upper class Irish ladies who had a relationship in the late 18th century. It was obviously a massive scandal back then as they lived an ‘unconventional life’. 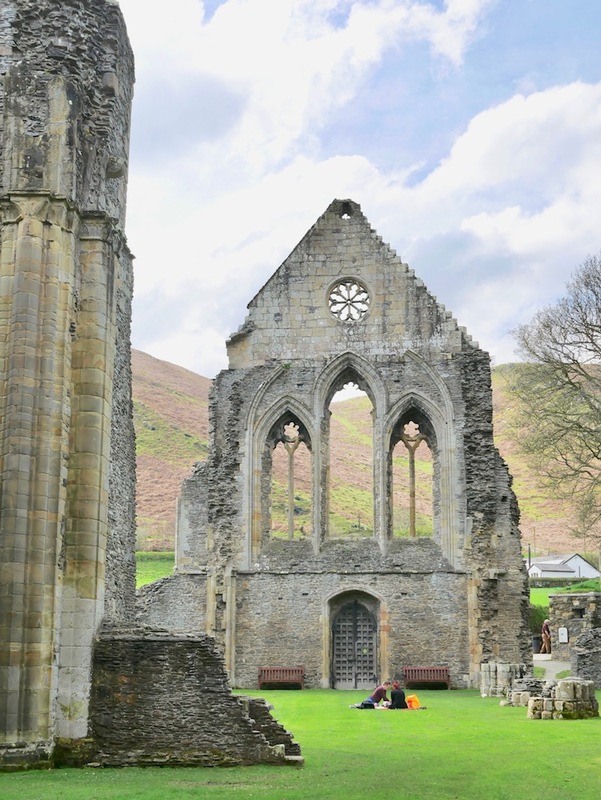 The remains of Valle Crucis Abbey are amazing and if you’re into photography it’s a great spot to take your camera. There’s a café and a small farm shop on site but I’d say you’re best taking a picnic and enjoying it in the grounds of the abbey. There’s a small fee to get inside the abbey but it’s well worth it. 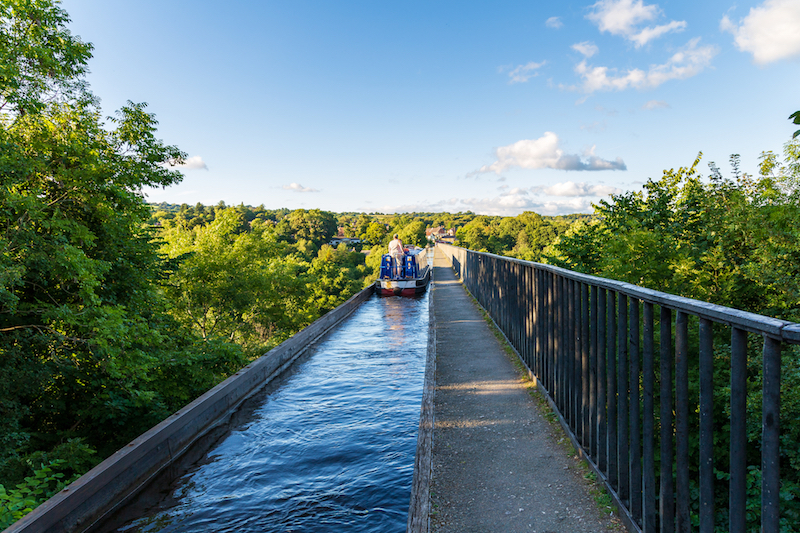 Pontcysyllte Aqueduct, otherwise known as ‘the stream in the sky’ is a UNESCO World Heritage Site. 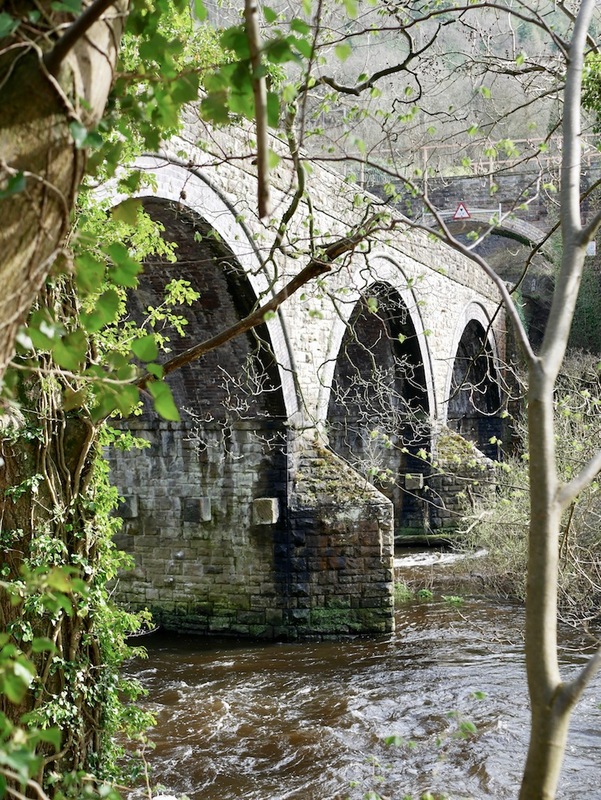 It’s an 18-arch aqueduct and is the oldest and longest navigable aqueduct in Britain. You can walk across it or take a canal boat across. We did both and took a canal boat trip with Jones the Boat and then walked across afterwards. 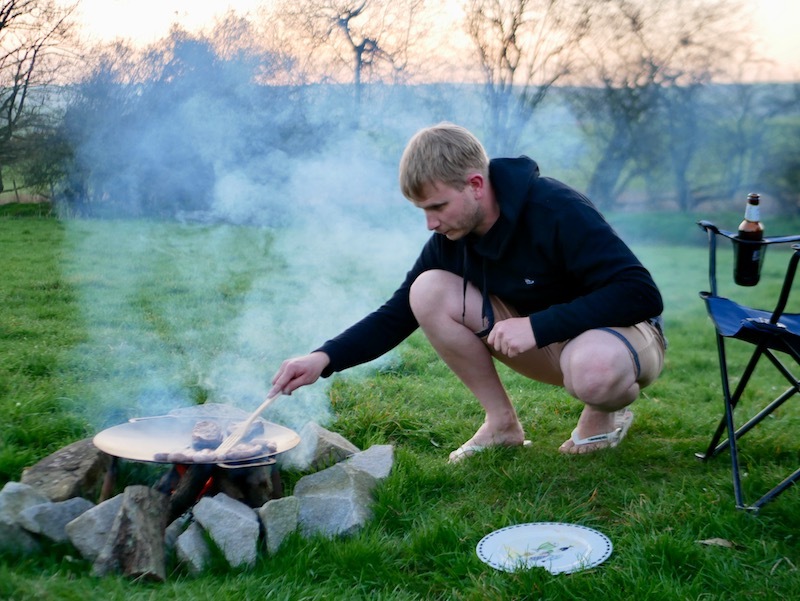 And that’s how to have a perfect glamping weekend in Llangollen. 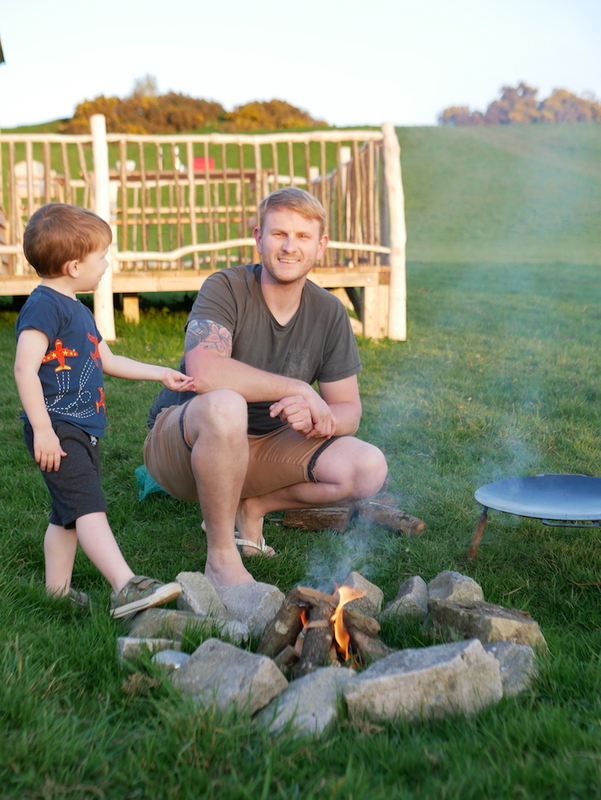 You can read more about my glamping trips here and more from my trips to Wales here.